This strike shield has the Rock and Water logo and is designed for schools implementing the program. The strike shield has been specially designed for Rock and Water use. 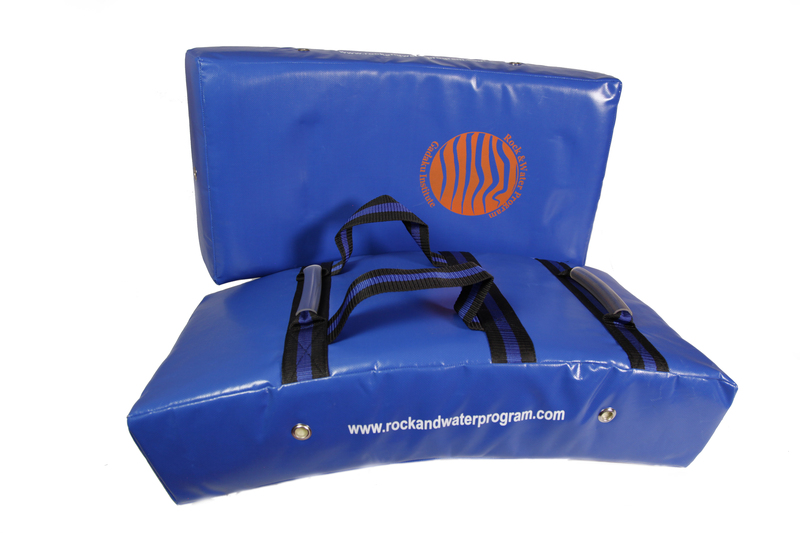 With two layers of foam the shield absorbs power effectively while still remaining light and soft for use by younger students.Hunter Martial Arts is the only supplier approved to use the Rock and Water logo in Australasia.